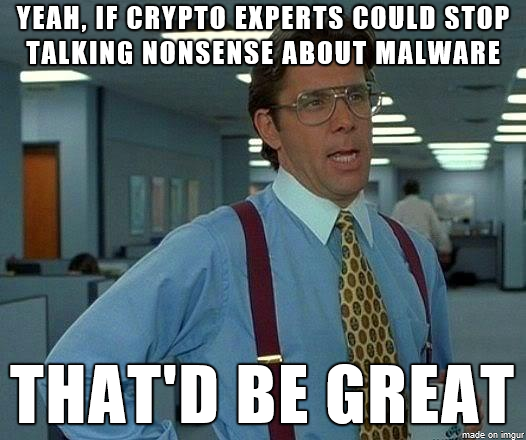 Y'know, in the past I tried to battle the copious amounts of misinformation spread by Bruce Schneier about malware, but somewhere along the line I stopped. Truth be told I think I got a little burned out from that sort of thing. Good on Vesselin Bontchev for keeping at it after all this time.